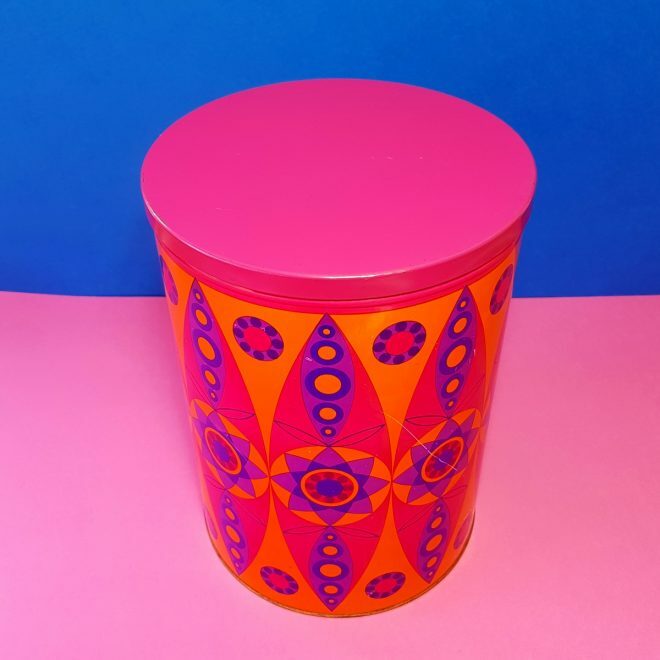 These large colourful tins made by Tomado were produced in the late 60s, early 70s and have a typical geometric pattern in psychedelic colours of orange, purple and pink. They were produced in a few different colour ways and look great grouped together in a collection. 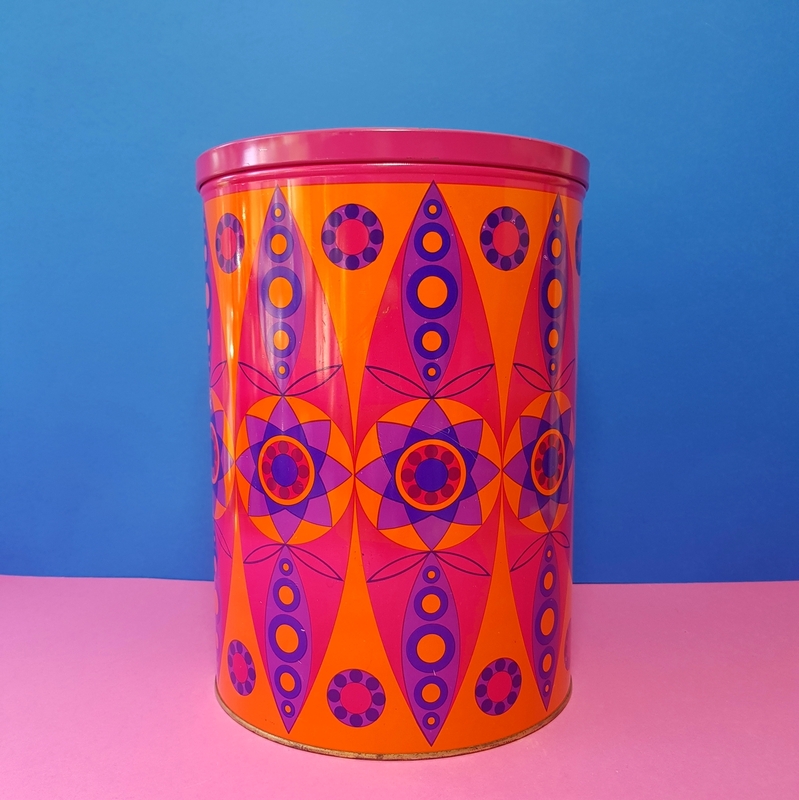 This wonderful bright and eye catching vintage tin has some signs of wear, but is in an overall good condition. 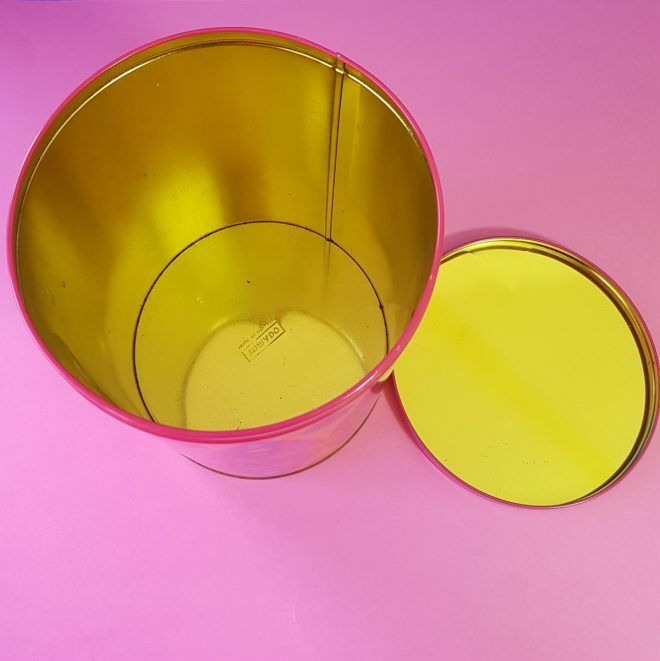 It is very large and provides great storage for toys or wool, or anything else you want stored in an attractive container. Tomado is a well respected Dutch manufacturer of household supplies who are still producing products today. 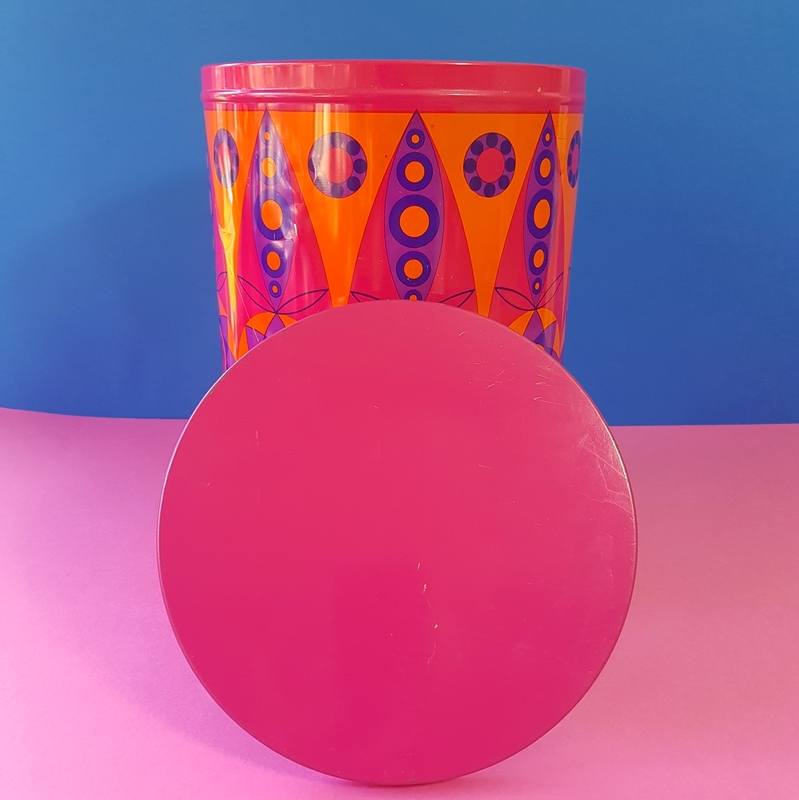 Condition: Very good vintage condition with just a few scratches when viewed close up and normal signs of use, but nothing that detracts. Please refer to photos for up close detail.